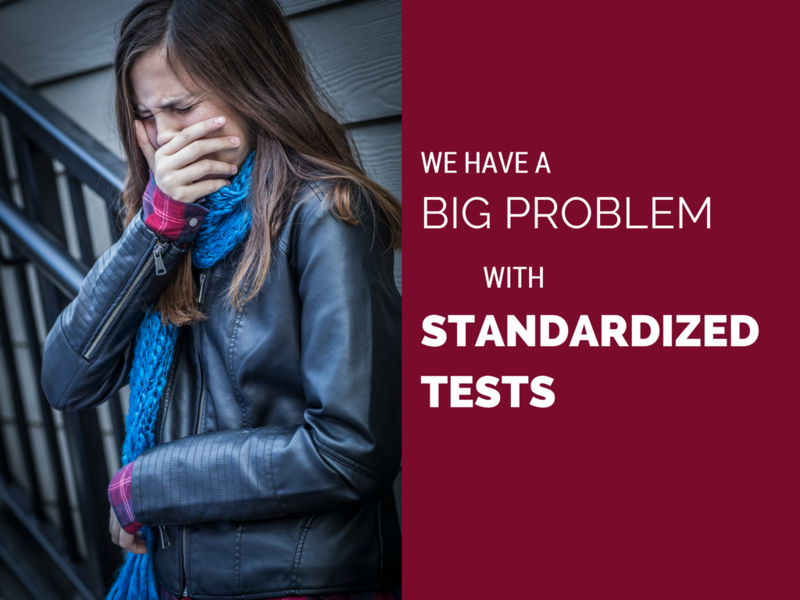 Got a Big Problem With Standardized Testing? 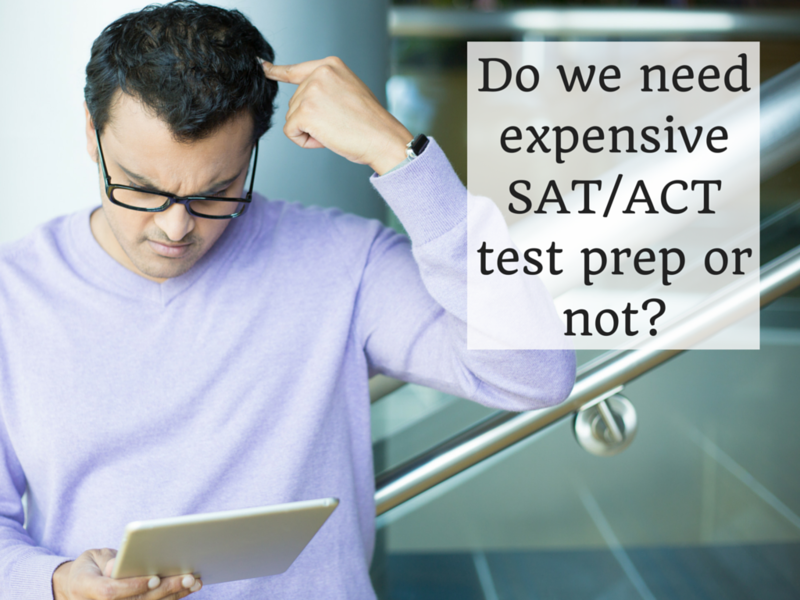 Has your child taken the SAT or the ACT multiple times — but never scored anywhere near his or her ability level? This happens more often than you think. Some students just don’t do well with standardized testing, no matter how hard they try. Even though they’re going to make great college students and end up having wonderful careers. So — what’s a parent to do? You might look at colleges that don’t require standardized testing. You can find a complete, alphabetized list of all the US colleges that don’t require standardized tests on Fairtest.org. There’s a massive number of them. Many very good colleges don’t look at standardized tests. Jeannie, I was wondering if you do coaching for students looking to study for the ACT/SAT tests? I have a daughter who is wanting to take the PSAT and the ACT this year and her high school counselor told us to invest in a good testing coach. I honestly have no idea where to find one, but thought of you because of the work you have already been doing in this area. Do you provide tutoring services to students who want to do well on standardized tests? My answer to her is below. Worried About the New PSAT Coming Up October 14th? 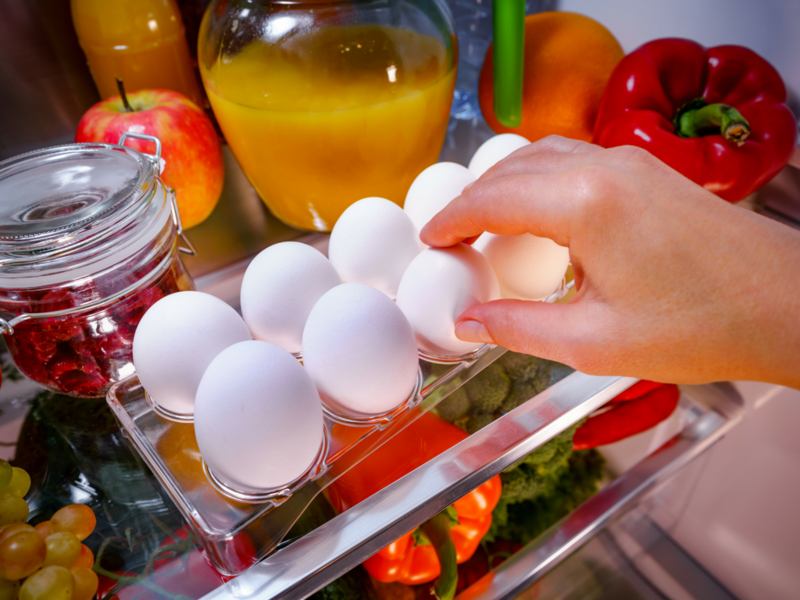 These 5 Things Will Help You Feel Better. Parents nationwide are worried about how standardized tests for college entrance are changing. If your child is taking the PSAT exam this coming October 14th, you may be wondering how it will be different from the old PSAT, and what your child should be doing in order to excel on it. Today I’m reposting an article about the new PSAT that I first published on June 29th, 2015. It’s timely info for any parent who wants a teen to feel well-equipped and confident this coming October 14th. Are You or Your Teen Worried About the October 14th PSAT? 1. There are currently 850 colleges and universities nationwide that don’t even look at standardized test scores when considering students for admission. These schools refer to themselves as “test optional.” You can find the complete list of “test optional” schools on the website of The National Center for Fair & Open Testing at http://www.fairtest.org/university/optional. 2. The number of “test optional” schools is rapidly increasing. As a matter of fact, a record number of colleges and universities dropped their ACT/SAT score requirements in the past year. Schools who’ve declared themselves to be “test optional” just in the past year include Beloit, Eastern Connecticut, Hofstra, Montclair State, Plymouth State, Temple, Virginia Commonwealth, and Wesleyan, among others. 3. Think that only “bad” schools would go “test optional”? The truth is that even top-ranked colleges are going “test optional” at unprecedented rates. The fairtest.org “test-optional” list now includes more than 165 schools ranked in the top tiers of their respective categories. More than one-third of top-ranked national liberal arts colleges have test-optional policies. 4. If you’d like your son or daughter to get information ahead of time on what the PSAT is going to be like, here’s a step you can take for free. It’s well worth a student’s while to try to succeed on the PSAT — because the PSAT is the first step to possibly qualifying for a generous National Merit Scholarship. If you’d like to give your child an edge on the PSAT, register for one of the free, live, online PSAT “cram sessions” being held online through October 8th courtesy of the KAPLAN test prep company. To reserve a date and time that fits your child’s schedule, visit http://www.kaptest.com/college-prep/getting-into-college/free-practice-test. KAPLAN provides these sessions to the public as a free service; taking one will not obligate you to buy a KAPLAN test prep course. 5. Finally, be sure you’re emphasizing the right things when it comes to college prep. In some cases families will put months of anxiety, $700 of hard-earned family money, and hours and hours of student work into an expensive test prep course – but then put no time, no money, and no thought at all into helping kids figure out career goal before they choose which colleges to apply to. What’s a parent to do? This. The upshot of all this? Students and parents, start with the end in mind. Parents, help your child to get a sense of career goal early on (preferably in January of 10th grade), and only THEN look at expensive test preparation if it’s obvious that it’s absolutely necessary. Jeannie Burlowski is a full-time consultant, author, and conference speaker. She helps parents set their kids up to graduate college debt free and move directly into careers they excel at and love. 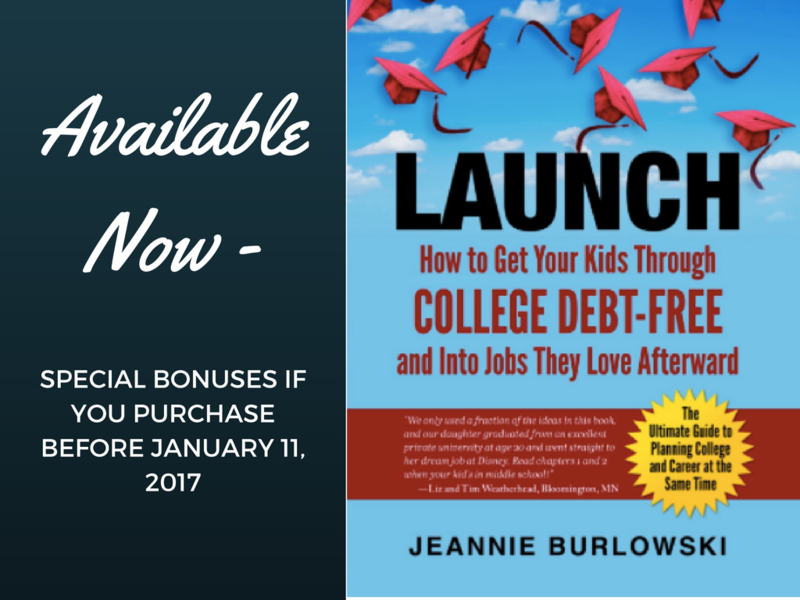 Her book LAUNCH: How to Get Your Kids Through College Debt Free and Into Jobs They Love Afterward is due out in 2016. 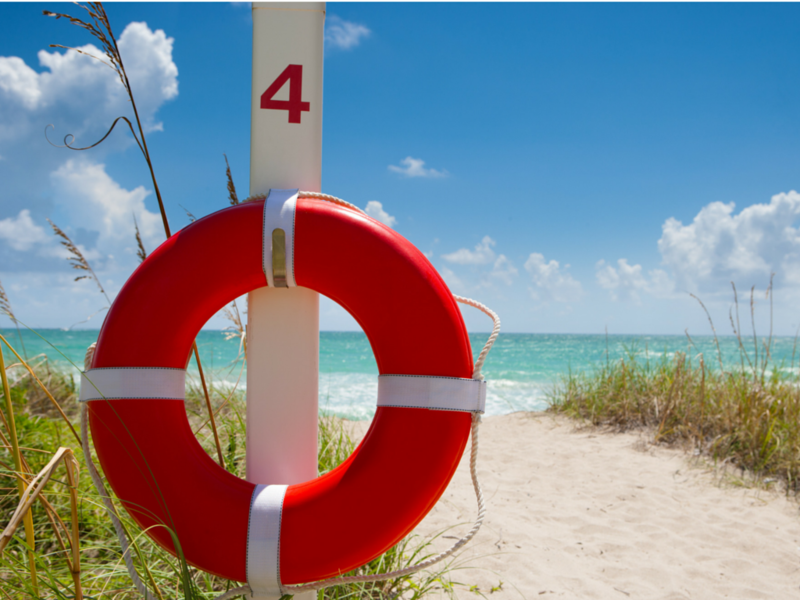 You can find Jeannie’s free help for parents in the “WHAT TO DO WHEN” section on this website. Follow her on Twitter @JBurlowski. What about you? What has your experience been in regard to standardized testing? What advice do you have for parents and students? Comment below, or LIKE Jeannie Burlowski Author on Facebook and let’s talk about it there.